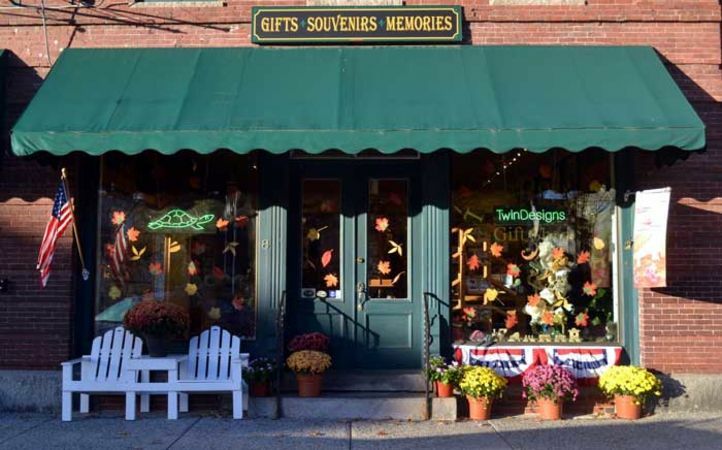 Twin Designs Gift Shop is a quaint shop located in Central Square in downtown Bristol. The shop carries T-shirts, Sweatshirts, Magnets, Pins, books and various other souvenirs. The shop has books, written and illustrated by the owners and this is also home of Diane the Turtle!